The ACML-DX600X2DS is the perfect solution for a double door. This is a magnetic lock with 600 pounds of holding force. Use this lock in situations where you need a fail-safe electromagnetic door lock on a double door. A Fail-Safe Lock is one that will automatically unlock when the power goes off, as this needs power to stay closed. A typical reason why you would need a fail-safe lock is a fire exit. 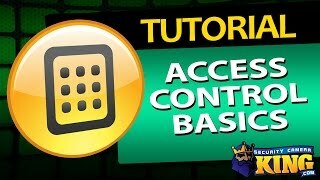 When wired to an access control panel, you can program one of the double doors to stay permanently closed and only use the other door for entrance and exit (of course the power needs to be on for this to work). Also, the system will be alerted when the door is open or closed. Power can be supplied with a 12v DC power supply or 24v AC.